About us — SSMedia7 Ltd.
At SSMedia7 Ltd, we strive to provide top quality graphic design, apparel and promotional material at affordable prices. Whether we design a new graphic, or one is provided, we will make you, your company or organization look good. Using existing art or creating completely original, we will screen print anything you need on many apparel items. We have no hidden costs, no screen fees, no setup fees, and art creation and recreation are free as well for an order of at least 12 items! Vinyl can be applied to walls, windows, vehicles, and just about anything else. Vinyl can be cut with your existing images, or created brand new. It is very cost effective at low prices by the square foot and no other hidden fees. We can also install it for you! 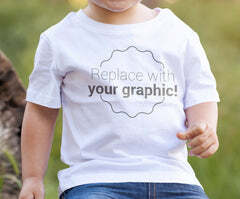 Apparel vinyl is a very affordable, high quality option for those that may need a very small amount of items customized. No hidden setup fees, and no minimum order requirements! Sublimation allows us to transfer full color images to hundreds of different items. Coffee mugs, clipboards, Iphone cases, Tshirts, and many more items can be printed with this method. See our sublimation page for a list of items, as well as pictures of printed items. Stunning full color images, low prices, no hidden fees and no minimum orders makes sublimation an exciting option for promotional items. We are constantly expanding our operation to add more options for our customers. Have an idea, and not sure about how to execute it? Give us a call, we can help!